In 1957, Jacques Brenner wrote the fictional memoires of Karl van Beethoven, the composer's nephew. He created this work through what he knew of Karl, and from the works of numerous biographers. His book is taken from a human standpoint, and Karl is presented as a victim. 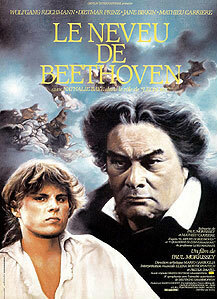 In 1972, Luigi Magnani wrote another book about Karl van Beethoven: 'Il Nipote di Beethoven'. A film was made from these books. The director Paul Morrisey realised this film in 1985. Wolfgang Reichman played Ludwig van Beethoven, Dietmar Printz is Karl, Mathieu Carrière is the archduke Rodolphe. Also in this film: Jane Birkin et Nathalie Baye.